KEY TECHNOLOGIES: The hosel adjustability contributes to the club's unmatched playability. DISTANCE: Should keep up with your gamer; for some, the D2 has an extra gear -- it's capable of a few bombs every round; takes a minute to finetune, since the hosel has a real effect on distance. ACCURACY/FORGIVENESS: Nothing's changed here -- it's still Titleist's most forgiving driver to date, which puts it on par with most in its class; a rare, totally neutral Game Improvement driver with impressive accuracy; predictable sidespin seems to correct course midair. FEEL: One of the best at impact; catch it flush and the ball basically disappears -- it just vaporizes the thing; a gentle giant that tells you where you hit it with a delicate tingle on misses; zero twists or turns -- a nice, compressed blast. PLAYABILITY: No other Game Improvement driver comes close; enough maneuverability to appeal to low-handicappers, while nearly everyone can bend mild shapes to fit the hole; the adjustable hosel sets you up for success -- once dialed in, you'll know exactly where to find your ball after takeoff. LOOK: This one sets the standard -- nothing better in the bunch; it's the Town Car of drivers: long and black, classic and comfortable; the simple alignment aid does its job. The 915 D2 is more interested in giving you options than in saving your bacon -- if you can't make consistent contact, there are better clubs for you; a few testers find impact surprisingly loud and high-pitched -- not what most associate with Titleist drivers. 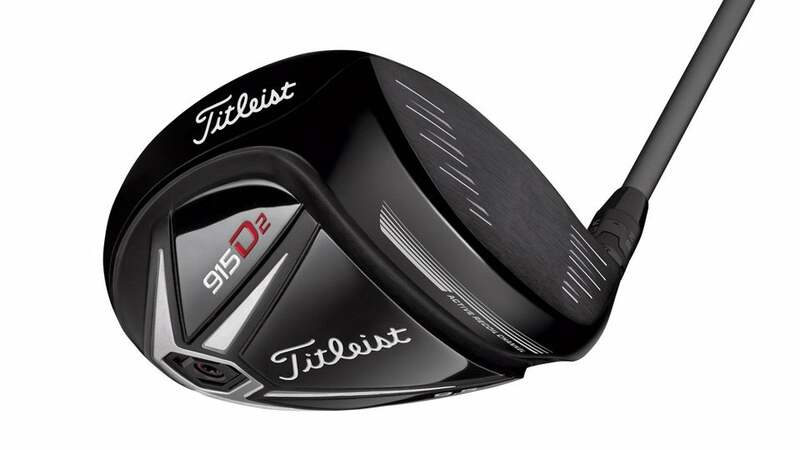 BOTTOM LINE: The Titleist 915 D2 is one of the better models tested. Same as last year: the everyman's Titleist, a great all-around club that holds up in an increasingly crowded Game Improvement category. Few drivers in any class blend a timeless look with tight handling this well. DISTANCE: One of the longest tested; consistent results with a good mix of carry and roll; adjustments are key -- dial in the proper setting and let the launch party begin; some say it ekes out extra yardage over the previous D2. ACCURACY/FORGIVENESS: Straight and simple, shots travel like they're on a track, time after time; not a ton of curvature -- misses are more likely pushes and pulls than hooks or slices. FEEL: Upper echelon; sturdy and metallic at impact, with superb weighting and admirable feedback; the slot in the sole doesn't change the characteristic Titleist crack. PLAYABILITY: One of the best -- puts you in control of the club, not the other way around; expect high, straight shots with enough adjustability to tune in your ideal ball flight; better testers found a touch of workability, too. LOOK: Top marks -- the 915D2 is a purist's club that's locked and loaded at address; long, deep head with no fuss, gimmicks or distractions; a large footprint for a Titleist, but not overwhelming. Slightly less workable than its predecessor -- more bomber than swashbuckler; sole slot doesn't salvage low strikes quite like some guys hoped. BOTTOM LINE: Titleist's most user-friendly driver to date is the top game-improvement vote-getter. It offers the variety and versatility needed to keep lower-handicappers interested, with enough pop (and pardon) to excite aspiring players.